1. 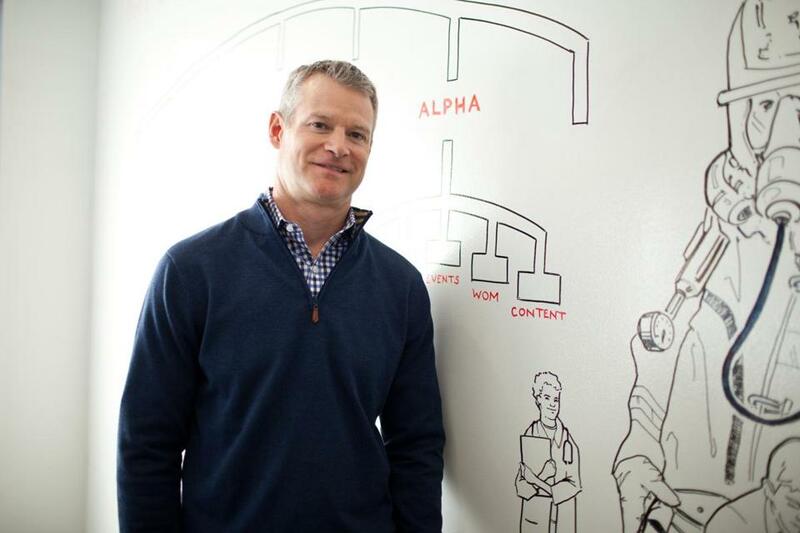 Baldwin founded Breakaway as a venture firm in 2006 and had a near-instant hit — his first investment was in the online retailer Rue La La, which was acquired in 2009 for $350 million by GSI Commerce, which itself was later bought by eBay. But just as quickly, he discovered startups need more than money. 2. Breakaway’s best-known startup investment might be IdeaPaint, the maker of dry-erase paint that seems to cover every inch of wall space in Kendall Square and Boston’s Innovation District. Baldwin said branding was the key to distinguishing IdeaPaint from similar products. 4. Breakaway’s marketing services are not confined to startups in which the firm has invested. One of Baldwin’s most memorable clients was Velcro. 5. Baldwin’s initial conversations with business owners can be awkward, at times. Some entrepreneurs bristle at the notion that a great product won’t sell itself, and don’t consider marketing a priority. Those people either change their minds or go looking for money elsewhere.